Highjinxy here, bringing to you a special opportunity to be apart of an up and coming Bedrock Edition Survival Realm. Currently, the realm has four unique players, but we are looking to expand to create an entire community! We are only one week into creation, but already have our sights set on the stars. We are very open to content creators, as we are content creators ourselves via Twitch and Youtube. As of the time of this post we have plotted out a few spaces for personal homes. We also have built a community storage, farm, smithy, enchanting tower. A few redstone contraptions include a water elevator and chicken cooker. 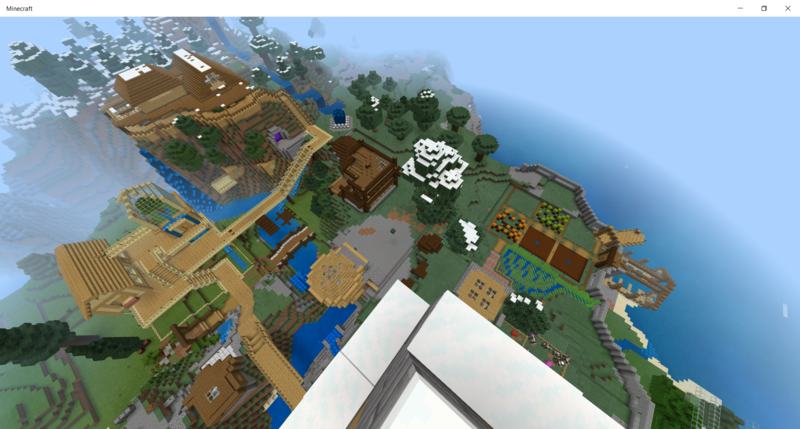 I must stress that we are a mature realm, for those older Minecrafters looking for a place to fit in. Also, we are working together to advance to the End Realm as a cohesive unit. This isn’t a place for Solo Dolo Crafters. We are a team. Like I mentioned above we are in the very early stages so joining now would grant you more permissions before it becomes a large community. All applications will be reviewed by the moderators and owner of the Realm. As of now the Realm is free to play, the owner will be taking care of the monthly payment (although donations will be accepted). We look forward to meeting each of you. Craft on! Update! We now have a discord! Sorry about the confusion! This is a Bedrock edition Realm! Experience-Have been playing for about 7 years and used to own a realm for about 2 years. Gaming Schedule I can play in the afternoons or sometimes in the morning, i would say a couple hours almost daily. still looking for new members!!! Experience in Minecraft: I have been playing MC since 2013 and have been an admin in another realm. Actually I'll comment anyways because I have a bedrock account. Experience.... Watched a web series on YouTube for a year prior to even playing myself on console vanilla. I've played for the last 7years, three consoles. Strength: strip mining, not giving an eff and just killing as much as possible, farming. I make goals and with determination follow through. I'm also a riot or at least I think it's never boring. Weakness: bit overwhelmed with not using vanilla crafting. Don't know anything about redstone, but would like to learn after watching mumbo blow my mind with his machines. Can play every other day when I'm not working. Why I want to join..... I'm tired of playing with kids and have to watch what I say. Would like respected rules, good belly laughs and a good crew to play with. 3. I think for about 3-4 years I've been playing Minecraft. 4. Strenghts: farming and exploring the land I really like. I'd love to get into building more! 5. Weaknesses: I get kinda scared when I'm in caves haha. Those damn creepers sneak up on you. So I'm mainly above ground. 6. Since I'm in college and I don't have class everyday I can play a lot during the daytime (I live in the Netherlands btw). 7. I've been playing singleplayer for such a long time now that I want to explore multiplayer now as well. I've been rewatching the Mianite series on Youtube and I just love how everyone plays together.